Sunreef’s Deep Diver Course provides divers with a structured, well-supervised means so that you can explore deeper dive sites. Whether it’s a wreck, sealife or just the lure of the deep, this program will dive you the skills to dive with confidence at depths down to 40 metres (130 feet). The program will include tuition about specialised deep diving equipment, deep dive planning, managing your gas supply and more. 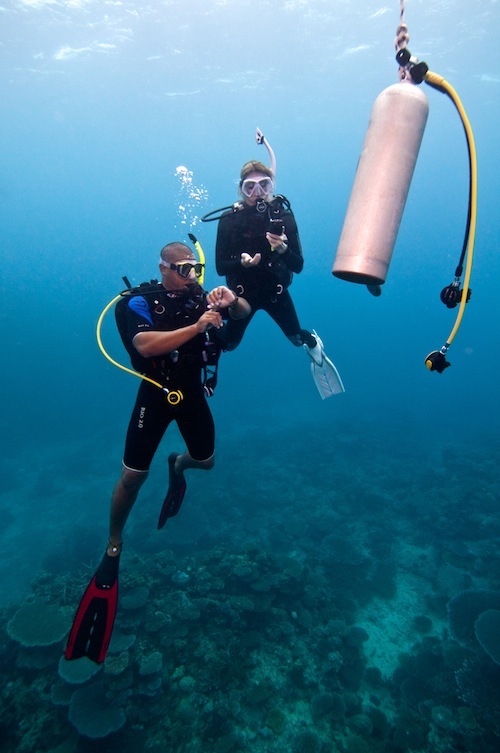 This course is also credit towards the Advanced Open Water Scuba Diver Rating.